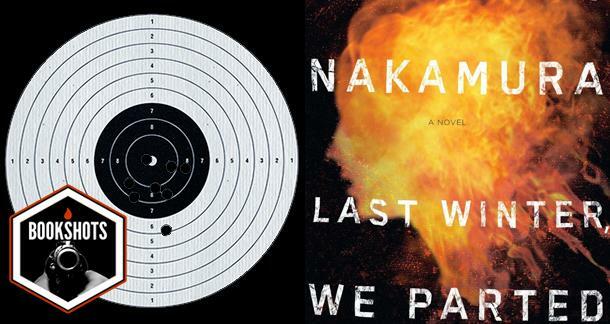 Nakamura’s latest novel takes us into the mind of a murderer whose greatest lie may be the admission that he’s guilty. Japanese crime novelist Fuminori Nakamura, winner of the 2010 Ōe Kenzaburō Prize. Death row inmate Yudai turns the tables on his interviewer, pulling him into a dark, obsessive world he may not want to leave. Yudai Kiharazaka, famed photographer who had...ahem...a burning desire to get some memorable shots of his models. Daniel Henney of X-Men would work. While this novel takes place in Japan, it could be set in any modern-day city. Our real landscape is the twisted minds of Yudai and those who claim to understand him. You ask a lot of questions for a coward. Multiply-lauded Nakamura’s latest novel takes us into the mind of a murderer whose greatest lie may be the admission that he’s guilty. When an unnamed writer agrees to interview one of Japan’s most notorious Death Row inmates it becomes clear—as he flees to the nearest whisky joint after their first meeting—that he’s bitten off more than he can chew. The accused, Yudai Kiharazaka, begins demanding that the writer trade pieces of personal information for details of Yudai’s crimes in sort of a ghoulish quid-pro-quo. Threatening the writer’s equilibrium even more is “The Dollmaker”. This elderly man makes eerily life-like replicas of dead girls and has insight into what makes a man like Yudai tick. Less forthcoming is Akari, Yudai’s sister. Beautiful and malevolent, she soon becomes as much of an obsession for the writer as she is for her own brother. Struggling not to be drawn into the labyrinth of deception he’s rapidly uncovering, the writer turns to other sources—archival material, letters, even Twitter, to discover the truth. Last Winter We Parted takes us into the mind of a photographer, so it’s no surprise how highly visual this novel is. The whole time I was reading it, I was thinking, ‘What a gripping movie this would make.’ (This would be particularly true if certain scenes were shot similar to the video for Nine Inch Nails’ “Closer”). Another strong point is the sexual tension between the writer and sister Akari. Their scenes are amongst the most engrossing in the book. That said, Last Winter…is not without its flaws. The narrative shifts POV quite frequently. I found myself having to read certain passages over again just to figure out who was speaking. In a novel with so many twists and turns, this is an issue. The writer is rather sketchily drawn. We know he likes a drink, and that he likes Akari, but there’s nothing really to draw us to this protagonist, who is much needed as an anchor in this type of mystery. Flaws aside, Last Winter We Parted is an engrossing, original mystery that does not neglect the element of surprise. I would recommend this book. And I’d definitely check it out if it ever came to the big screen. Naturi is the author of How to Die in Paris: A Memoir (2011, Seal Press/Perseus Books) She's published fiction, non-fiction and poetry in magazines such as Barrow St. and Children, Churches and Daddies. At Sherri Rosen Publicity Int'l, she works as an editor and book doctor. Originally from NYC, she now lives in a village in England which appears to have more sheep than people. This will make starting a book club slightly challenging. The Self-Taught MFA: Novel Idea or Fairy Tale? I like your title more. So do I. Where do we apply to get that changed?